A Japanese artificial whetstone for fine grinding. 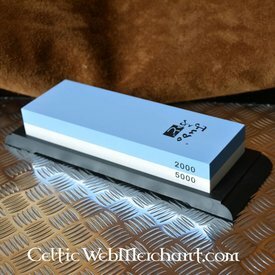 This whetstone has an open structure and two sides: a coarse grain (grain 5000) and a fine grain (grain 2000) side. 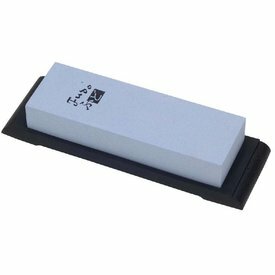 This whetstone is made for grinding cooking knives.